Eating well is key to making sure your workouts and running regime are worth the time you put into them! To help balance my workouts and food intake, I turned to friend, writer, runner and blogger Lauren Steinheimer, who imparted some invaluable words of wisdom. Her blog is chalk-full of advice, tips, stories and lessons learned in her life of trail running, dog parenting and everything in between. She worked with me to bridge together a healthy nutrition for runners with my Indian food habit! A common myth is that you should carbo load right before a race. Wrong! Eating too much the night before can make you feel sluggish and can lead to cramping. If you decide to eat more carbs, cut back a bit on fat and protein so your stomach doesn’t revolt. What you eat after your race or run matters and can make a huge difference. You must re-fuel STAT. Smoothies are great recovery drinks: they get you nourished fast and you can be creative in what you put in them! 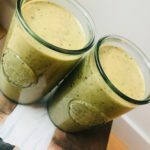 (She recommends replenishing calories in a 3:1 to 5:1 carb:protein ratio, and so I whipped up this smoothie recipe!). Avoid Gatorade, it’s packed with sugar. Drink coconut water instead! If you don’t like that, watered-down fruit juice works too. Avoid processed food. Protein is key, but make sure you’re getting a complete protein. You know what’s great for runners? South Indian food! We are all about the whole grains, the lentils, and vegetables. Stick with us, Cumin Beings. This advice was exactly what I needed to start creating a pre- and post-run diet. One of my favorites is this Banana + Blueberry + Turmeric smoothie recipe below. 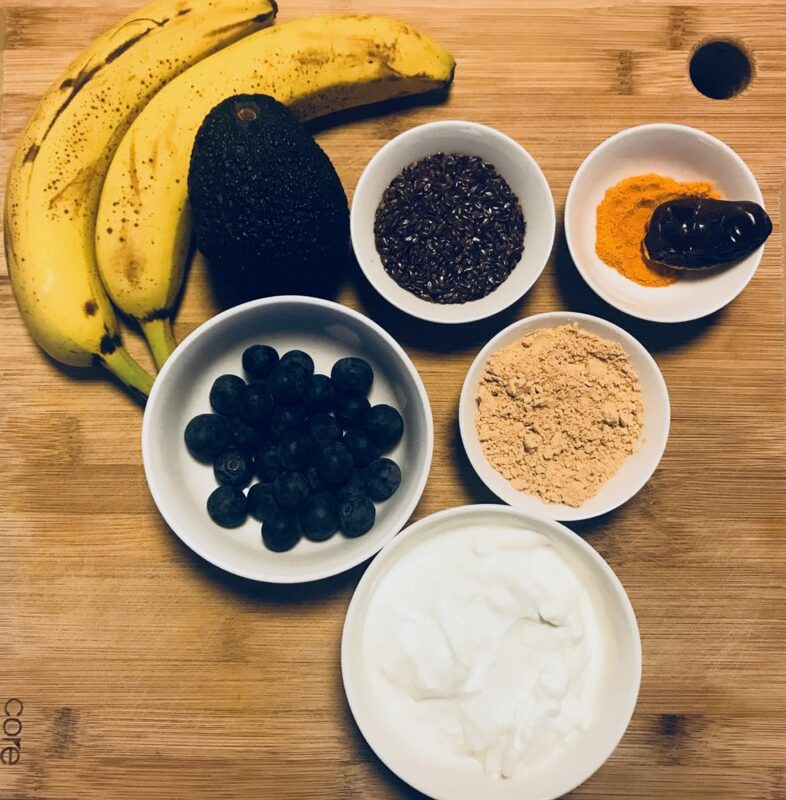 The recipe is a combination of my own + Lauren’s + my mom’s favorite ingredients all packed into one protein- and fiber-rich drink with many beneficial health properties. I simply put all the ingredients below into an immersion blender. Mine is the Cuisinart smart stick hand blender, found on Amazon here. Bananas and avocados are packed with full of healthy fibers and come with lots of lovely vitamins. And so do blueberries. They contain vitamins A, B complex, C and E, potassium, zinc, copper, iron and magnesium. For vegetarians and vegans, it is the best source of vitamin B that you might not find in other foods. Also, let’s pause and talk about our spice of the day — turmeric. Turmeric is the mother of all anti-inflammatories! You might already be familiar with it (thank you, Starbucks). It’s becoming somewhat of a cult following. My mom used to put it in warm milk and tea every time we were sick as kids, and it always did the trick. She even rubbed it on our faces for a decadent spa treatment! I grew up having turmeric handy for that special pinch of peppery spice. For immunity and wellness, I add a pinch to all of my smoothies and teas. So, need we say more? 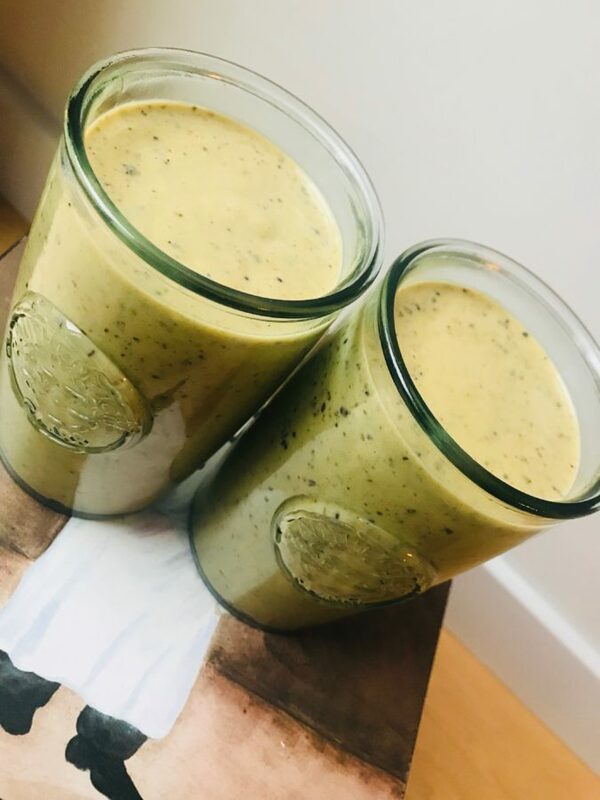 Try this smoothie after a workout or for your breakfast! It’ll fill you up and get you energized. Try it out and let us know what you think! A high-protein smoothie for before or after workouts, or for breakfast in the morning. Add in a second date if you like your smoothies sweeter. I like my smoothies a bit more liquidy. But if you prefer yours thicker, add just 1.5 cups of almond milk. Avocado makes the smoothie super creamy. Substitute or add greens (kale or spinach) for a more juice-like smoothie. If you do add kale or spinach, I would add just one bunch for this smoothie. 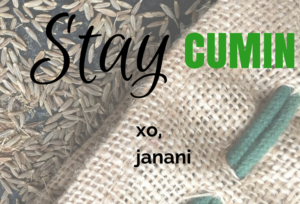 2018 Natural Holiday Gift Guide!